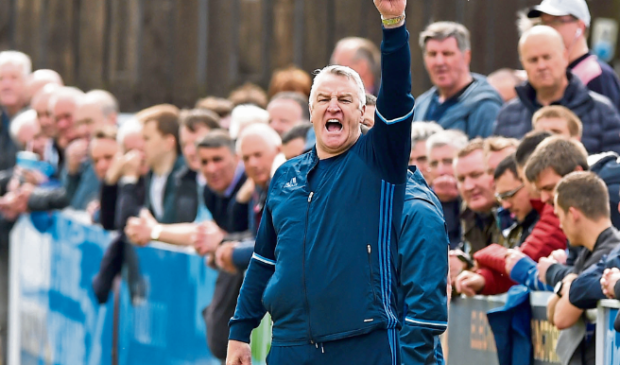 Cove Rangers manager John Sheran has just 14 players available for the game with Caley Thistle. John Sheran is short on numbers for this weekend’s double-header against Caley Thistle and Aberdeen. The Cove Rangers manager has only 14 available players for their Betfred Cup opener in Inverness today and the Dons friendly at their new Balmoral Stadium tomorrow afternoon. Scott Ross, Alan Redford, Mitch Megginson and Eric Watson are all unavailable for the game against the Caley Jags with Sheran also serving a touchline ban for the Caledonian Stadium fixture. He concedes it has made preparations far from ideal for the weekend’s two big encounters but he is hoping his smaller squad can still give a good account of themselves. Sheran said: “It will be pretty much the same for both games and it will be tough for the boys to play two games in two days. We’ve just got to play the same ones, we don’t really have a choice unlike full-time clubs that have a lot of different players. We don’t have that flexibility. Cove also have Hearts, Raith Rovers and Cowdenbeath in their Betfred Cup group, with the latter beating them in an ill-tempered League 2 play-off tie in May. Sheran is looking for players to improve their fitness over the course of the four group games but to also avoid finishing bottom, a target they had when they last played in the competition two years ago. Sheran added: “We’re looking to get ready for our own season and it will be a great experience to play teams from a higher league. We set ourselves the target not to finish bottom last time and it’s the same again. “From that perspective, the Cowdenbeath and Raith games are the ones that we’re targeting. With Caley Thistle and Hearts, we want to enjoy the experience and put on a good show.